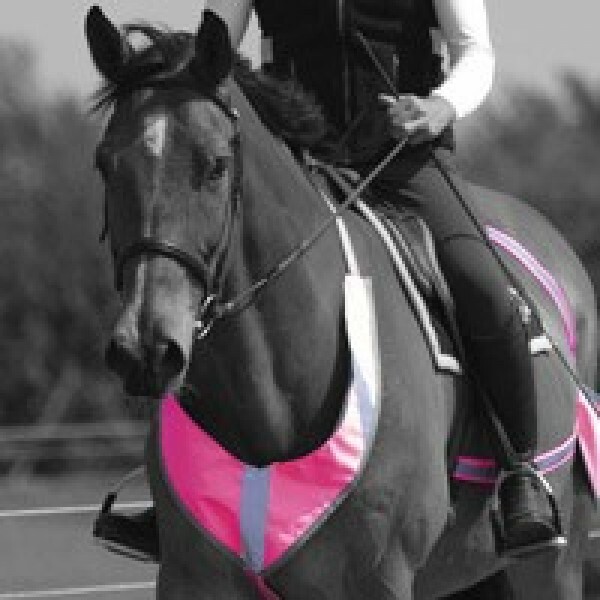 V-shaped breastplate with 50mm reflective vertical stripes. Features a neck strap with adjustable buckle clip. Other features include Equetech branded reflective girth strap, Equetech reflective badge to right and reinforced binding at hem. Fabric conforms to EN471.